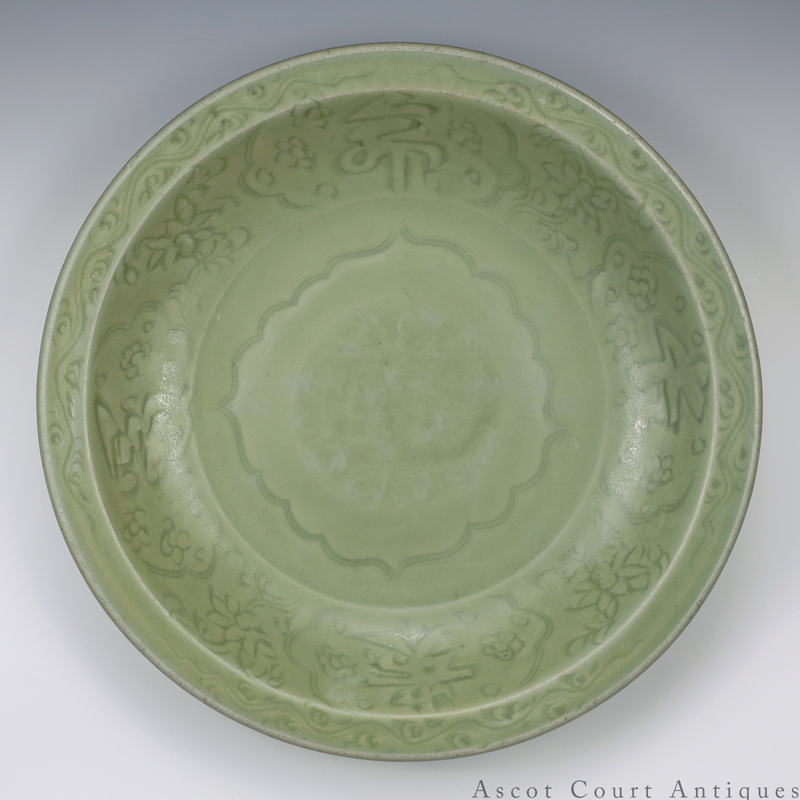 A rare Yuan Longquan celadon charger, carved with the Chinese characters “chang ming fu gui” (live long and prosper) in xingshu script within ogival cartouches, all against a ground of incised floral sprays and scrolls. While Song celadons feature clean contours and undecorated surfaces, Yuan Longquan potters created vessels of grandeur and imagination. 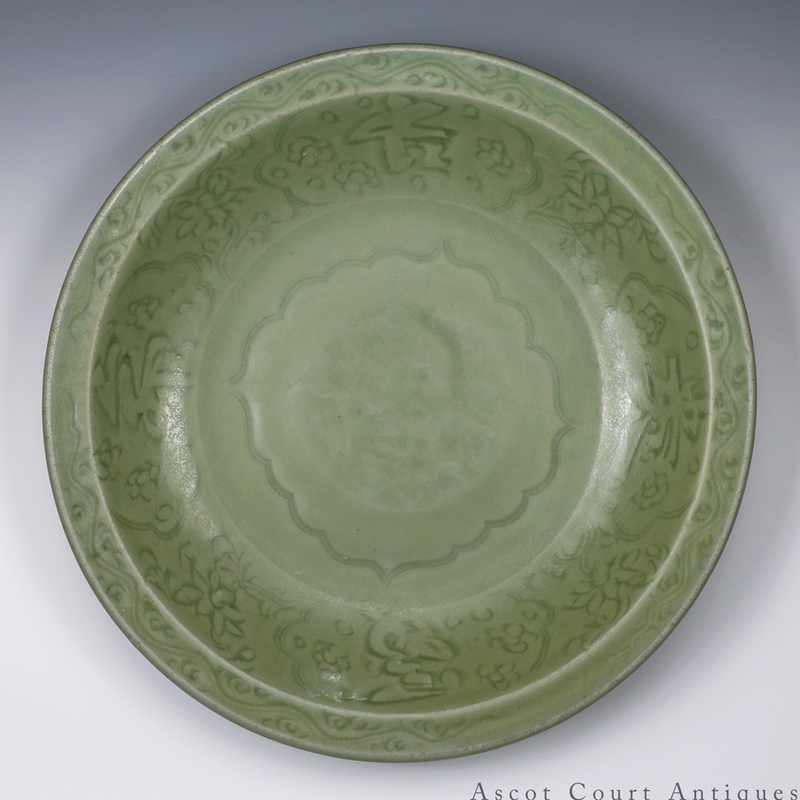 There is nothing subtle about a Yuan Longquan celadon; pieces tend to be large, extravagantly shaped, and decorated with biscuit appliques, carved motifs, and molded patterns. 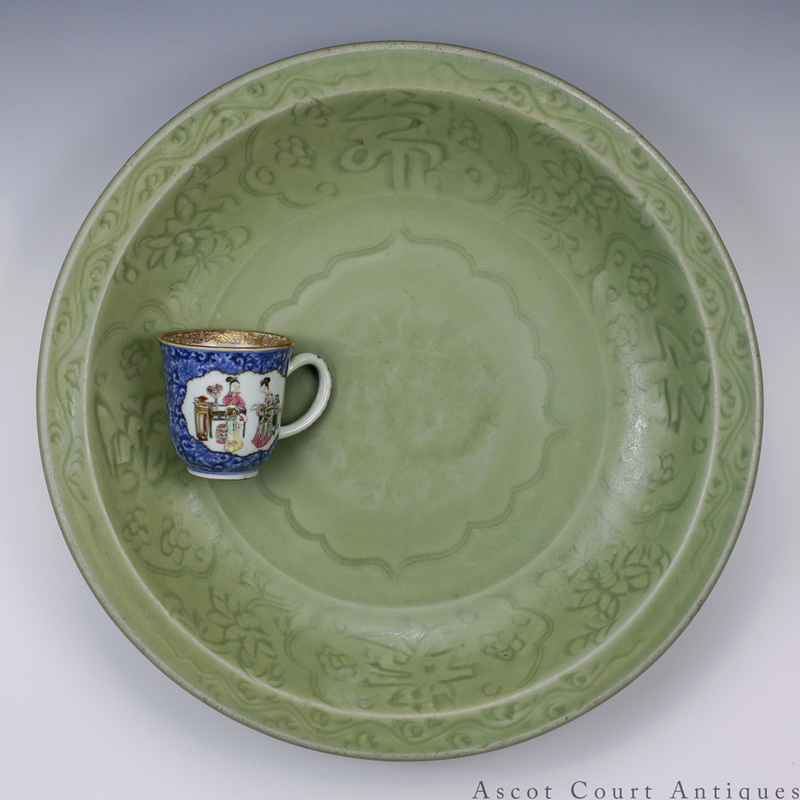 Yet at their best, Yuan celadons are full of fervor and colloquial liveliness. 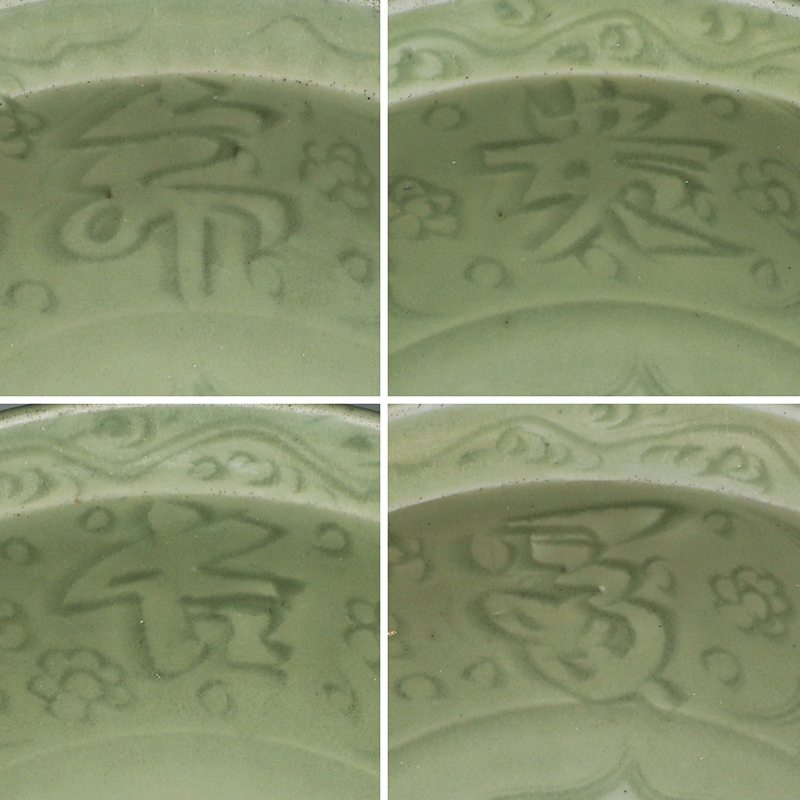 Rather than relying on symbolic imagery to convey an auspicious message, a Yuan potter, while crafting this charger, directly carved the message “live long and prosper” in a casual cursive script. 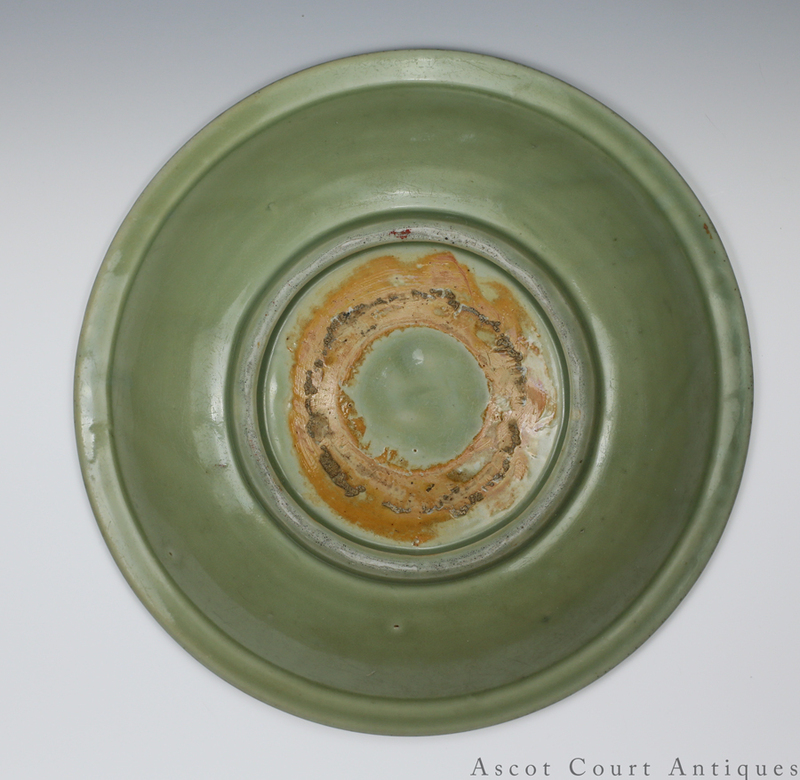 Pieces with Chinese characters are rare amongst Longquan celadons. Many are large wine jars with messages such as “qingxiang meijiu” (fresh and fragrant fine wine) or “heaven bestows a handsome return”. For a wine jars of this type, see Boston Museum of Fine Art 35.231, a jar from the Museum of Huizhou Culture of China, Christie’s sale 2463 lot 1489, and Bonhams sale 21882 lot 109. Chargers with carved characters (as opposed to molded) are much more unusual.